Adventure sports is fast becoming popular among the adrenalin-seeking youth. However, the irony is that the same adventure sports is turning today’s youth into estrogen-seeking homosexuals. In earlier days of my trekking, I was warned about a man who had turned gay and was always on hunt for chocolate faces and had a fetish for hairy chest and polka dotted undies. I didn't believe it then, but now I see reasons with much clarity. 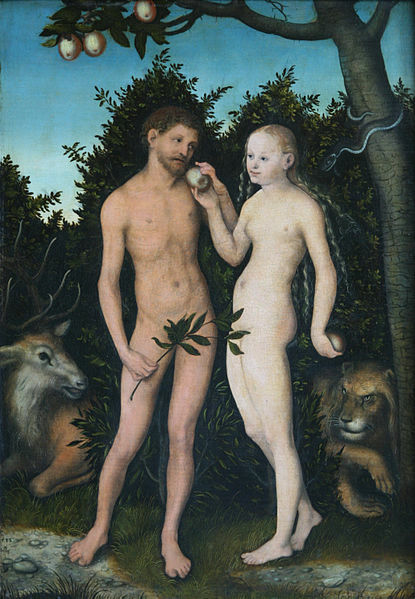 Homosexuality goes against our age-old culture which dates back at least ten thousand years, even before humans agreed on a sexual means of reproduction (this was when apple tree evolved and god from a different continent fooled humans into eating apples saying “an apple a day keeps the doctor away”). We have been doing it the same way ever since under the consent of kings and gods, until the new-age social geeks (aka socialists) figured out that you can reverse the cassette and play it as well! Now, the entire sociocultural fabric of the nation is being shattered. How can we see a nation under the watchful eyes of 330 million gods turning gay, going against the god’s prescribed ways and doing quirky things? What answer will our coalition governments have when asked by each of those 330 million gods why it couldn’t implement a simple rule of not playing the cassette in reverse, which was being observed for ages? Now, homosexuality is akin to betrayal of the fatherland, very anti-social, very much unpatriotic. All the rumors spread by the media about social acceptance of homosexuality is part of conspiracy by the communists to concur and capture our fatherland. I know you don’t believe me and you don't have to. Simply use a pinch of common sense. I know you are not an idiot, but your mind has been corrupted by the media. All you need is some clarity of thoughts, some rationality. Just ask yourself this simple question and you would know the truth. If the all young blood on this great land of Kamasutra turn gay, where the future generations will come from? And without any future generation, who will be in the fatherland to protect it and its malls, cinema halls, temples, and stock exchanges from the communists? What will happen to our rich culture of bandh, open defecation, and joint family with nine kids per couple? Think! just curious, hows a "true trekker" defined? True Trekker is a matter of spirit and not a materialistic experiential fellow. You need not actually go to those unreachable dirty jungles to call yourself a "true trekker." You should be able to imagine and write about it, that all. "I was warned about a man who had turned gay and was always on hunt for chocolate faces and had a fetish for hairy chest and polka dotted undies." Whom r u referring to dude. I write only for readers who are mature enough to understand the fine details of the phrases used and can read between the lines. Immature and dumb people are not supposed to read it at the first place. So, by this logic if you read and understood, you are mature and intelligent and hence don't need an explanation. If you read and didn't understand, you were not supposed to read it at first place and hence you have committed a crime against humanity. Ravi S Ghosh....jgdgdjbsdk jhsdjhj hdg skkhksd laHSKJ jkdhhjd.kjsdh jjsdkds jdgjgsd kdd sdhsd jsdd jasJKS.DDSJBDB HJDSG SAKADKK SDKADdjgdjd djkdkdkd.....djdkkkdkdkdk djsytrgss kshdvas duyetteygbasnnn sdladada ksa jasdaBC Kshdkdn jddk. ssjsjassj jdjddkdkdl dkkdldk. skllls skjjemdduyrtewo smss hgdsdd ajdkdl ddlfkffgfhjfk hdffssali yteryeieooeoo ooororor. you have tagged this under humor but i cant find anything humorous in it. in fact it seems to be a bit racist and idiotic. in my opinion you must stop writting such things. its vulgar. I must first tell that I am a proud gay and a proud CTCian adn that doesnt stop me from trekking. Me and my partner have not only participated in countless treks but I have organized quite a few treks too for ctc. Today when the entire world is recognizing the gay communities rights, it is very sad to read a blog like this and that too from a open-minded person like you. Though you have written this as comic, you should have thought if it will hurt someone’s beliefs. Your post have hurt my sentiments. You have been a great trek organizer who would take care of safety so much, plan everything in advance. and I used to respect you adn your skills so much. you served as a role model for me and many others but today all that respect is gone. Thank you very much for all your respect and I am glad that I did inspire someone to organize treks. I have never ever in my life thought that I would inspire someone to do anything other than "doing nothing." That was so nice of me. I would like to inspire you in one more aspect. It's about Newton's 4th law, each action has equal and opposite reaction. Whenever we hit our feet (or sentiments) against objects such as rock (or people like me), all we get is opposite reaction which we interpret as being hurt. You may blame Newton for not leaving any leeway for any exceptions to his laws. Abstain from taking actions and you will never get reactions. Dude.. do u really read before commenting..? Never ever. We must act in order to protect the precious resources. In this increasingly moronic world, the most precious resource world today is intelligence. How can I waste my intelligence in trying to read, comprehend, and then respond to the comments? That's so much anti-green, anti-social, anti-unpatriotic. WOW! You mean to say it would be popular amongest ladies, right. First, finding girls in a wrong place is not a good idea. Second, divulging out the details of your finding in front of people (of different intellectual level than yours) is not a good idea. Third, wasting time, money, and creative words for girls who don't even have anything to do with you is worthless. First thing first, before finding out partners, by taking painstaking strategy, grow up confidence. Confidence which will dictate that you are not just anybody, you can do/achieve (within the available/opportune circumstance) anything you want and probably you are better off than many people around you. Why don't you for a change think that trekking is just a physical activity and a time to be with nature and reflect on yourself, apart from the gains (girls and their focus). The person as I know you, is a far better and intellectual person than what is portrayed here and you also know it. Now about girls, they don't care (they never cared), so when you already know that most girls are after money (even from a pot bellied one)and fame and/or good looks/physique (that had always been the mentality of our society, remember Swayambar- to choose from the best of options), then why do you care for those kind of girls. Instead be on your feet and have faith in God and human kind that one day you will find your soul mate (if not from trekking then from other place), who won't judge you based on your appearence/bank balance/background etc. And believe me when girls reach that kind of maturity they search for only a good character with a decent prospect of living, person. So by now probably you have understood that you are looking for wrong kind of girls in wrong place. Now about gay community, well it is their choice (not yours). In our present society we are not to judge anybody's choice (even if you are unable to respect their decisions), but then you are free to practice your choice (given you have the opportunity/means to practice it). So who does what, doesn't matter (actually does matter but you can't do anything about it in our present day society). At the end, dude don't run away from the competition overload, and always remember that there is always food (in your case, girl(s)) at the end of the race, for everybody. How can a person of humble intellectual means, such as me, be ever expected to read, comprehend, and respond to such a lengthy comment? This is ridiculous. its good you confessed it. Now I do not wonder why you was banned from organizing treks . Organizers sensed your intentions clearly. Better you clean your mind and someday try to enjoy nature's beauty also, that day you will understand the difference between lalbaugh and treks. This series starts with the explanation how idiotic the organizers are to ever think of taking out the element of sexuality out of treks. Secondly, what exactly do you mean by "clean your mind". Are you referring to compulsory castration before joining any trek?